We've seen plenty of games trying to achieve photographic realism, but how often do we come across attempts to make real life look more like a game? The folks over at Codemasters have done just that, with their latest tie-in video for last month's racing title Dirt 3. Shot using a tilt-shift lens, this video of Ken Block whizzing around London's Battersea Power Station has the appearance of having been miniaturized or computer-generated. 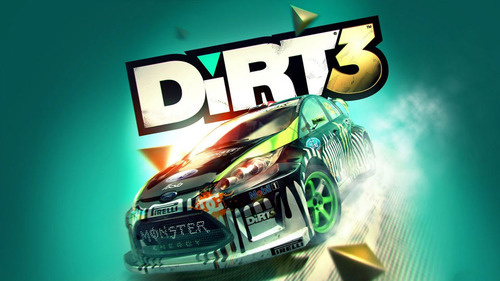 Dirt 3 is currently out on the Xbox 360, PS3, and PC. A pretty crappy car, maybe, but the point remains: you could still buy a working, actual automobile for the cost of this steering wheel set minted for racing game Dirt 3. 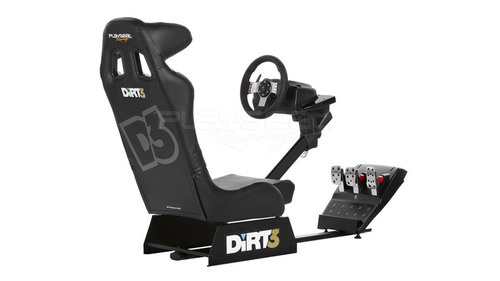 On sale in British stores for £840 (USD$1380), Playseat's DiRT 3 + Logitech G27 deal combines a comfy driving seat, a sturdy frame and a wheel/pedal set into a controller setup that, were your TV big enough, would be as close to the real thing as you could get without a man sitting next to you muttering "easy left". If $1380 is too rich for your blood, if you order online you get a discount that takes it to...USD$1170 (£709). Why so much? It's practically a real racing car seat, and is flexible enough to work with most company's steering wheels. Aside from that, it's probably more a case of "a fool and his money".